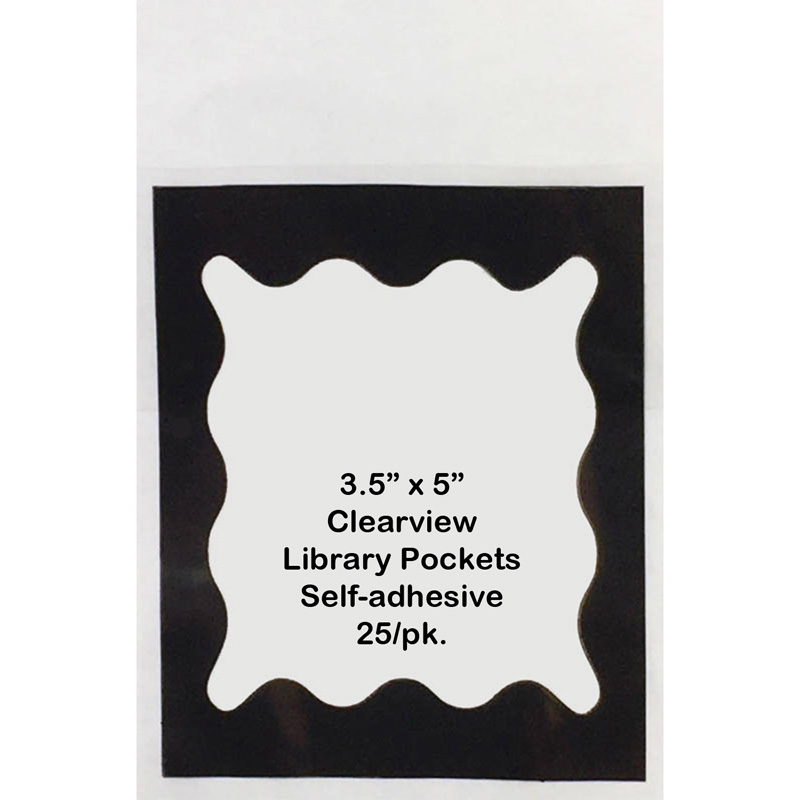 Clear with Black Chevron Border Library Pockets are self-adhesive and heavy duty. Open pocket, slip in card, remove backing, position pocket and stick. Removes easily from desk/walls. 3.5" tall by 5" wide. 25 per pack.